Continuing their Horus Heresy Character Series, Forge World has started taking orders for Cor'bax Utterblight, Demon Prince of the Runestorm. This isn't your standard "guy in power armor" sort of model. No. 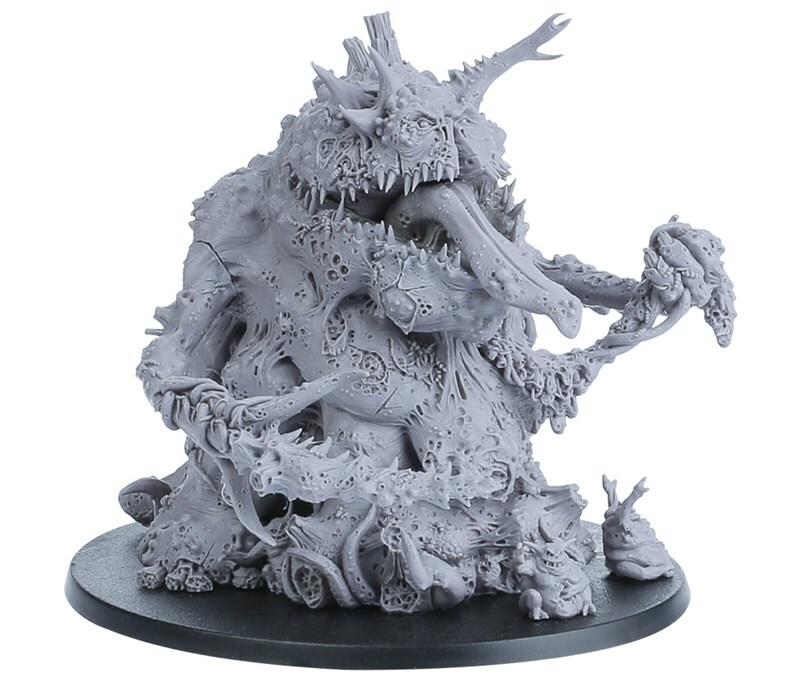 This is a new Nurgle miniature in all its pustule-ridden glory. With the right paint job, you may find yourself wanting to use hand sanitizer anytime you touch him. This figure is also a pretty big one. Though there aren't any scale comparisons to look at, they say that it's 2x as tall as a human figure. It also comes on a 120mm oval base. So you can get some sense of scale from that. The figure is made of resin. You can put in your order now and they'll be shipped out next Friday. Be the first gamer on your block with this model when it's released.